A hot, fragrant spice made from the rhizome of a plant. 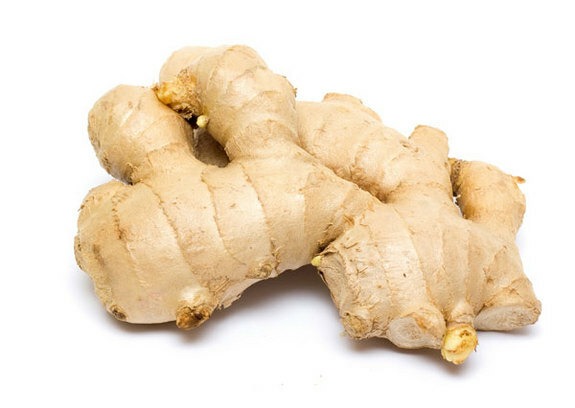 Ginger is a staple in most Asian cuisines and is used to add zing and peppiness to the dish without over flavoring it. Ginger is laden with a beautiful fragrance that adds freshness to the food. Ginger can be eaten in various ways. It can be dried, chopped, or powdered for cooking, as well as preserved in syrup or candied. Gingers are commonly used as a medicine to treat various types of stomach problems, including motion sickness, morning sickness. Ginger mixed with honey and basil is given for fighting common cold, infections and also flu. It helps to reduce swelling and pain in the body and gets rid of excessive water content too.